While older adults with cancer are more likely to develop chemotherapy-induced peripheral neuropathy (CIPN), the study aimed to determine if patient-reported and objective measures of CIPN differ by age among cancer survivors. Cancer survivors with persistent CIPN after completion of platinum and/or taxane chemotherapy completed CIPN questionnaires (severity, interference with activities, sensory, and motor symptoms) and objective testing (light touch, vibration, pain, cold sensation). CIPN measures were compared by age group (< 65 n = 260 versus ≥ 65 n = 165) using parametric and nonparametric tests. Among 425 cancer survivors with CIPN, mean age was 60.9 (SD 10.5). CIPN location did not differ by age (overall 68% hands and feet, 27% only feet, 5% only hands). For patient-reported measures, older survivors reported less severe pain in the hands and feet than younger survivors. In addition, older survivors reported lower interference with general activity, routine activities, normal work, enjoyment of life, sleep, mood, relations with other people, and sexual activity. No age differences in sensory and motor symptom scores were found. In contrast, for objective measures, older survivors had worse light touch and cold sensations in their feet and worse vibration detection in their hands and feet. Despite having worse light touch, cold, and vibration sensations, older cancer survivors with CIPN reported less severe pain and interference with activities. 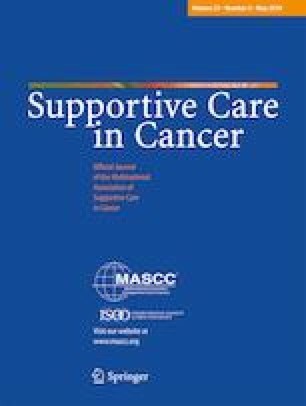 This discordance highlights the importance of including both patient-reported and objective measures to assess CIPN in cancer survivors to better evaluate this clinical condition. Dr. Miaskowski is supported by the American Cancer Society and NCI (CA168960). Dr. Wong is supported by the Conquer Cancer Foundation of the American Society of Clinical Oncology (ASCO)/Vicky Merryman Women Who Conquer Cancer Young Investigator Award, National Institute on Aging (AG044281), and National Center for Advancing Translational Sciences (NCATS, KL2TR001870). This project was supported by NCATS through UCSF Clinical and Transformational Science Institute (CTSI) (UL1TR000004). Its contents are solely the responsibility of the authors and do not necessarily represent the official views of the NIH. Recruitment was facilitated by Dr. Susan Love Research Foundation’s Army of Women Program. This study was funded by the National Cancer Institute (NCI, CA151692). Dr. Wong has reported a conflict of interest outside of the submitted work (immediate family member is an employee of Genentech with stock ownership). The remaining authors have no conflicts to report.